Hospital Apparels | Patient Gowns for Men & Women | HY Supplies Inc. 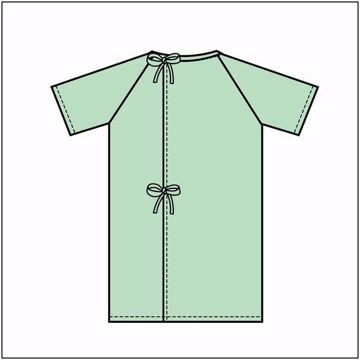 Patient gowns are made of durable, modest and high-quality polyester and cotton blends. 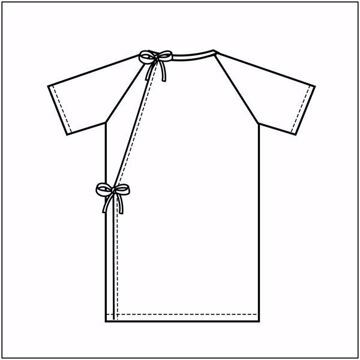 We manufacture gowns in a wide variety of sweeps, lengths and colors, with snaps, hook and loop (Velcro) closures, tie closures and other configurations that solve specific requirements of your customers. 54” Sweep, 45” Length, and 3” sleeve inseam. 3” overlap. Colors available - Blue, Mint, Pink, Yellow, & White, also in a Pin-Dot Print, Stock Subject to Availability, Shipping Varies Based on your location. 60” Sweep, 45” Length, and 3” sleeve inseam. 8” angle overlap. Colors available - Blue, Mint, Pink, Yellow, & White, also in a Pin-Dot Print, Stock Subject to Availability, Shipping Varies Based on your location. 60” Sweep, 45” Length, and 3” sleeve inseam. 8” angle overlap.Colors available - Blue, Mint, Pink, Yellow, & White, also in a Pin-Dot Print, Stock Subject to Availability, Shipping Varies Based on your location. Snaps sleeve and tie back. Large telemetric pocket, with a long bound buttonhole, Stock Subject to Availability, Shipping Varies Based on your location.